Matt Talbot Kitchen & Outreach values your support and is committed to protecting your privacy. 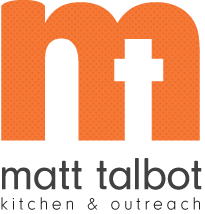 When you provide personal information to Matt Talbot Kitchen & Outreach (MTKO), we will not share or sell your personal information to any organization or individual, or send mailings on behalf of outside groups. We will not reveal personal information to anyone other than what is necessary to transact, fulfill and/or account for donations that you have authorized. MTKO will only use your contact information (address, phone, and email) to verify information, thank you for your contribution, ask for your opinion, request assistance, or invite you to a special event. At any time you have the right to decline receiving future communications in any manner, including email and postal mail. Please send us your request with your full name and address to info@mtkserves.org or call 402-477-4116. The following policies explain how MTKO collects, uses, and safeguards personal information provided to us. Personal Information You Choose to Provide We may request that you voluntarily supply us with personal information, including your e-mail address, postal address, home or work telephone number and other personal information for such purposes as correspondence, making a donation, or participating in online surveys. We will not trade, share or sell your personal information with anyone, nor will we send mailings to you on behalf of other organizations. Website Use Information Similar to other websites, our website may utilize a standard technology called "cookies" (see explanation below, "What Are Cookies?") and Web server logs to collect information about how our website is used. Information gathered through cookies and Web server logs may include the date and time of visits, the pages viewed, time spent at our website, and the websites visited just before and just after our website. This information is collected on an aggregate basis. None of this information is associated with you as an individual. How Do We Use the Information That You Provide to Us? Broadly speaking, we use personal information for purposes of processing donations and communicating with donors and interested community members. Occasionally, we may also use the information we collect to notify you about important changes to our website and new events or information we think you will find valuable. The lists used to send communications are developed and managed under our traditional corporate standards designed to safeguard the security and privacy of personal information. You are allowed at any time to notify us of your desire not to receive these communications. What Are Cookies? Cookies are a feature of web browser software that allows web servers to recognize the computer used to access a website. Cookies are small pieces of data that are stored by a user's Web browser on the user's hard drive. Cookies can remember what information a user accesses on one web page to simplify subsequent interactions with that website by the same user or to use the information to streamline the user's transactions on related web pages. This makes it easier for a user to move from web page to web page and to complete transactions over the Internet. Cookies should make your online experience easier and more personalized. How Do We Use Information We Collect from Cookies? We use website browser software tools such as cookies and web server logs to gather information about our website users browsing activities, in order to constantly improve our website and better serve our visitors. This information assists us to design and arrange our web pages in the most user-friendly manner and to continually improve our website to better meet the needs of our customers and prospective customers. Cookies help us collect important business and technical statistics. The information in the cookies lets us trace the paths followed by users to our website as they move from one page to another. Web server logs allow us to count how many people visit our website and evaluate our website's visitor capacity. We do not use these technologies to capture your individual email address or any personally identifying information about you. Notice of New Services and Changes Occasionally, we may use the information we collect to notify you about important changes to our website, events, or new information we think you will find valuable. You will be given the opportunity to notify us of your desire not to receive these notifications by clicking on a response box when you receive such a notification or by sending us an email request. How Do We Secure Information Transmissions? When you send confidential personal credit card information to us on our website, secure server software which we have licensed encrypts all information you input before it is sent to us. The information is scrambled en route and decoded once it reaches our website. Other email that you may send to us may not be secure unless we advise you that security measures will be in place prior to your transmitting the information. For that reason, we ask that you do not send confidential information such as Social Security or account numbers to us through an unsecured email. How Do We Protect Your Information? Information Security. We utilize encryption/security software to safeguard the confidentiality of personal information we collect from unauthorized access or disclosure and accidental loss, alteration or destruction. Evaluation of Information Protection Practices. Periodically, our operations practices are reviewed for compliance with corporate policies and procedures governing the security, confidentiality and quality of our information. Employee Access, Training and Expectations. Our values, ethical standards, policies and practices are committed to the protection of volunteer and donor information. In general, we limit employee access to confidential information, and limit the use and disclosure of such information to authorized persons, processes and transactions. How Can You Access and Correct Your Information? You may request access to all your personally identifiable information that we collect online and maintain in our database by emailing us at info@mtkserves.org or by calling 402-477-4116. What About Legally Compelled Disclosure of Information? We may disclose information when legally compelled to do so. In other words, when we, in good faith, believe that the law requires it or for the protection of our legal rights. Permission to Use of Materials The right to download and store or output the materials in our site is granted for the user's personal use only, and materials may not be reproduced in any edited form. Any other reproduction, transmission, performance, display or editing of these materials by any means mechanical or electronic without the express written permission of Matt Talbot Kitchen & Outreach is strictly prohibited. Users wishing to obtain permission to reprint or reproduce any materials appearing on this site may contact us directly. Donation Refund Policy We are grateful for your donation and support of our organization. If you have made an error in making your donation or change your mind about contributing to our organization, we will honor your request for a refund made within 15 days of your donation. To request a refund, please contact us. Refunds are returned using the original method of payment. If you made your donation by credit card, your refund will be credited to that same credit card.